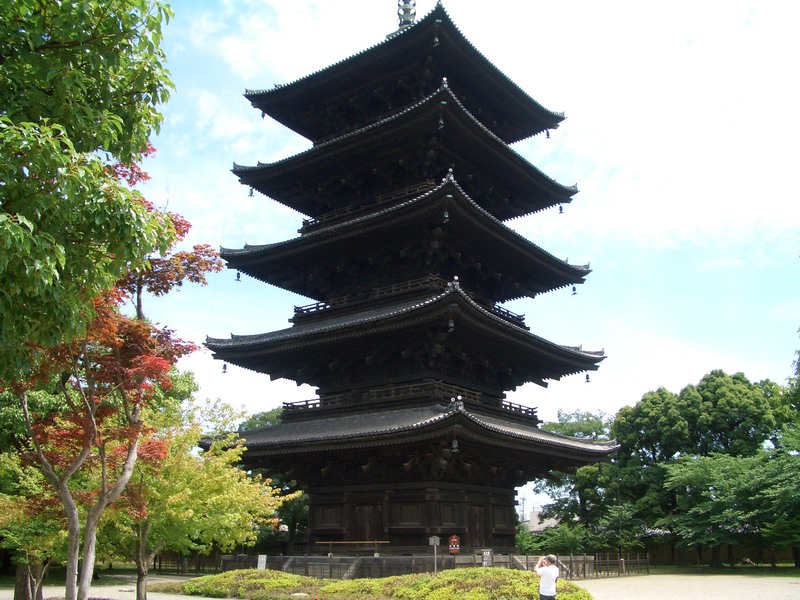 The To-ji Pagoda is a must see when travelling through Kyoto. Kyoto is a beautiful city with many old temples and shrines. Most of our guests who fly into KIX airport in Osaka will spend a day or 2 in Kyoto to experience the history that surrounds the former capital. If you are lucky enough to be there on the 21st day of each month then I can recommend the Toji Temple Antique Market. You will find lots of interesting things to see and buy and the grounds are absolutely magnificent along with the architecture of the buildings. It is listed as one of the historical monuments of ancient Kyoto with world heritage status. This entry was posted in Japan, Sightseeing and tagged Antique markets in Japan, Hakuba, Japan, Japanes temples, KIX airport, Kyoto, Things to do in Kyoto, Toji. Bookmark the permalink.